The Rebel Sweetheart. : Spotlight | oNecklace Pink Ribbon Collection. Spotlight | oNecklace Pink Ribbon Collection. One of the bigger, better, or should I say - nobler perks of blogging (aside from augmenting the household income) is being able to write for and about your advocacy, encourage others to take action, and get to know individuals/brands who support the same cause. As some of you may know, Breast Cancer Awareness is an advocacy that I openly support. It's a cause that I have been championing ever since I received my very first pink ribbon pin from my Mum, who is an advocate herself. Having worked with oNecklace in the past (you can view my customized Three Ring Engraved Mother Necklace here), I was beyond thrilled to learn that they are just as passionate as I am in increasing attention and support for Breast Cancer Awareness. This month, they launched the Pink Ribbon Collection, an exclusive collection that aims to raise funds for research into the cause, prevention, diagnosis, treatment, and cure for breast cancer. Some of the pieces included in the collection. 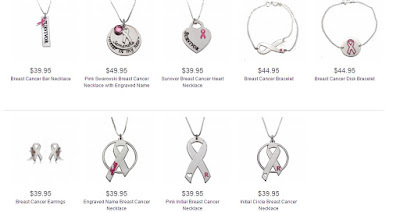 The collection consists of necklaces, bracelets, and earrings that have been crafted into or with the pink ribbon, the global symbol for breast cancer awareness. The necklaces and bracelets can be customized with a name or message of your choice. 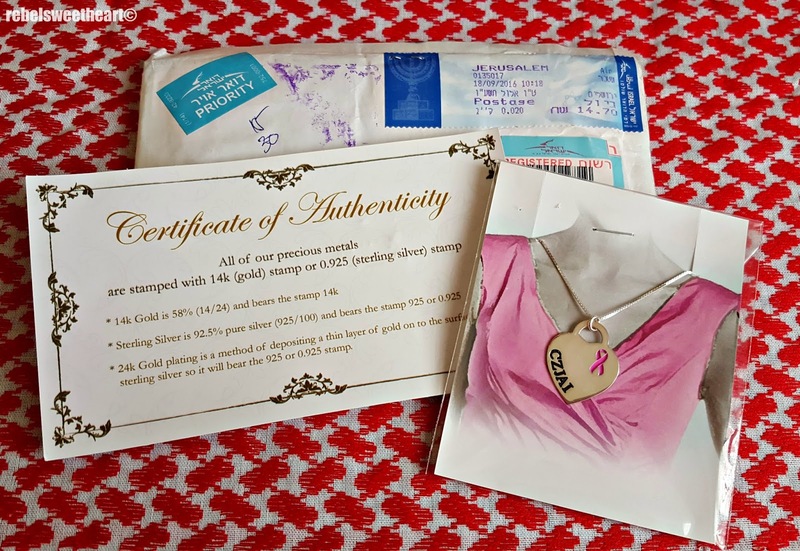 I am proud owner of the (Survivor) Breast Cancer Heart necklace. Had my name engraved on it, instead of the word 'Survivor'. 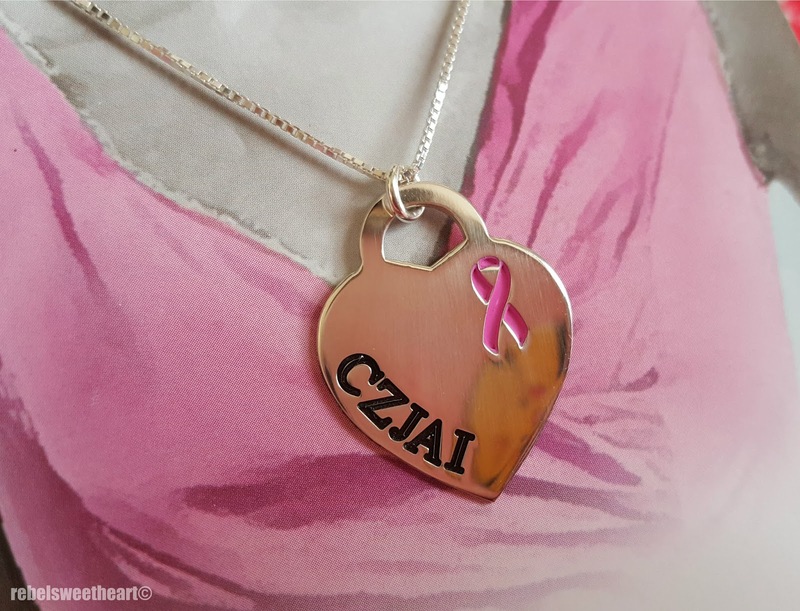 A piece from this collection would make a truly meaningful gift for someone who has survived the fight of cancer, lost a loved one, or as a way to truly show your support for breast cancer awareness and encourage others to do the same. 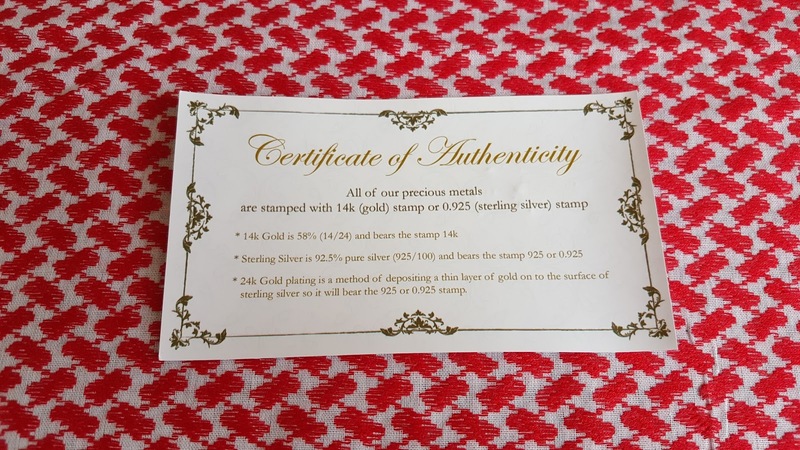 All of the products are available in 14k gold, 24k gold-plated, and sterling silver. 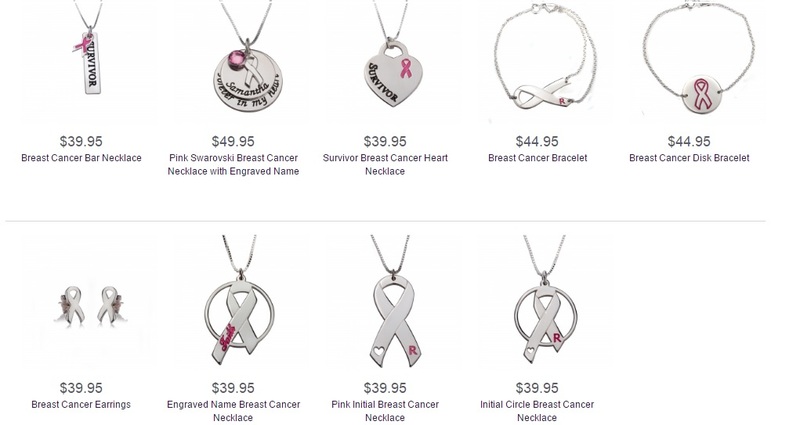 For every purchase made from this collection, oNecklace will donate 15% to Breastcancer.org. The proceeds, as I have mentioned earlier, will be used for breast cancer research. Championing the cause with oNecklace. 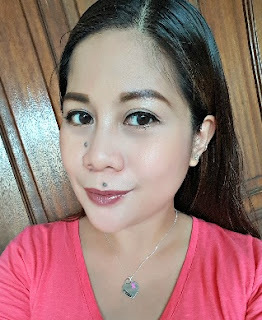 In support of this campaign, I wear my Breast Cancer Heart Necklace with much pride and fervent hope that my friends and readers will join me in my cause. You can view and purchase the complete Pink Ribbon collection here. In addition, you can get to know more about BreastCancer.org, their campaigns, events, and fundraising projects by visiting their website. Breast cancer is terrible and it's important to raise awareness especially since many women suffer from it every year. These necklaces are wonderful! A lot of women need our help and I'm glad that there are companies who help with the funds especially for the treatment. These are pretty necklaces and they can be given as gifts as well. Thank you for sharing this collection. I hope it help support breast cancer research. It is really heartening to see Brands and companies coming forward to spread awareness about Breast Cancer. The more the awareness, the better prepared we are in the fight against cancer. Thanks for sharing an awareness for breast cancer and I love your necklace. One of my aunt is diagnosed with Breast Cancer lately and I do love to show lot of involvement in creating awareness towards it. 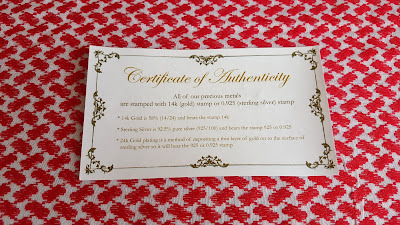 oNecklace sounds amazing & I am in love with those beautiful jewelry and the certificate of Authenticity is great as well. It is good to see them helping for such a great cause! How to Help Your Kids Enjoy Science.